All orders have been filled accurately and timely; usually arrive within a few days. Patterns and directions are accurate and easy to follow as is the printing on the fabric. Dimensions are as stated and materials are ample. Kits are satisfying to work as they are not too hard and work up quickly. Finished projects are even prettier and more colorful than the picture. 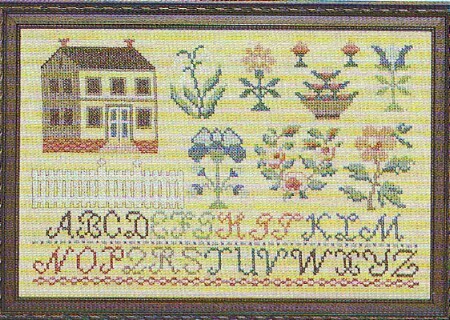 If you love the old fashioned charm of samplers as I do, this website is the place for you! I had seen this kit in a mail order catalog, but it was sold out before I could obtain it, so I was thrilled to find this website with this kit in stock.